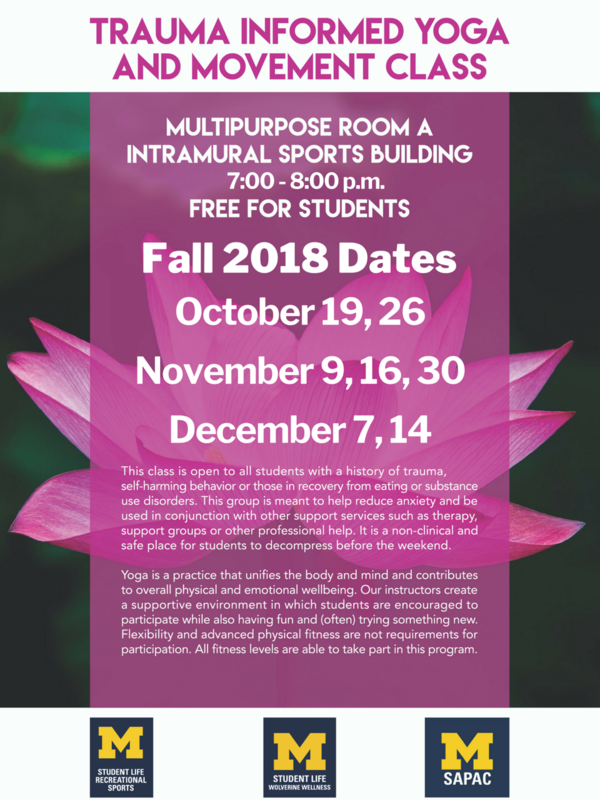 Recreational Sports, Wolverine Wellness, and SAPAC have come together to create a Trauma Informed Yoga and Movement Class! It will be held on the following dates in the Intramural Sports Building Multipurpose Room A from 7:00-8:00 PM, and is free for students. The University of Michigan student sexual misconduct policy currently in place is consistent with the interim guidance issued today by the U.S. Department of Education. No immediate changes are necessary. Click above link to view the statement from the Office of the President. 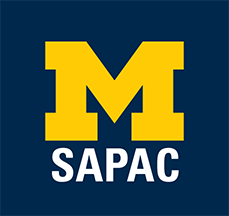 Interested in volunteering with SAPAC? Come to one of our mass meetings to learn about becoming a “Red Shirt,” an untrained volunteer who can attend weekly meetings, with the expectation of completing Volunteer Training the following Winter Semester. 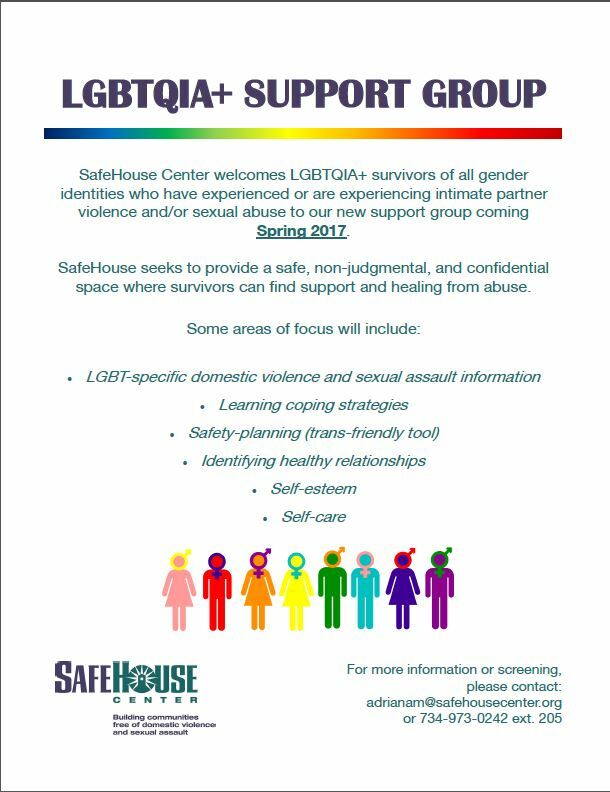 SafeHouse Center welcomes LGBTQIA+ survivors of all gender identities who have experienced or are experiencing intimate partner violence and/or sexual abuse to our new support group coming Spring 2017. SafeHouse seeks to provide a safe, non-judgmental, and confidential space where survivors can find support and healing from abuse. 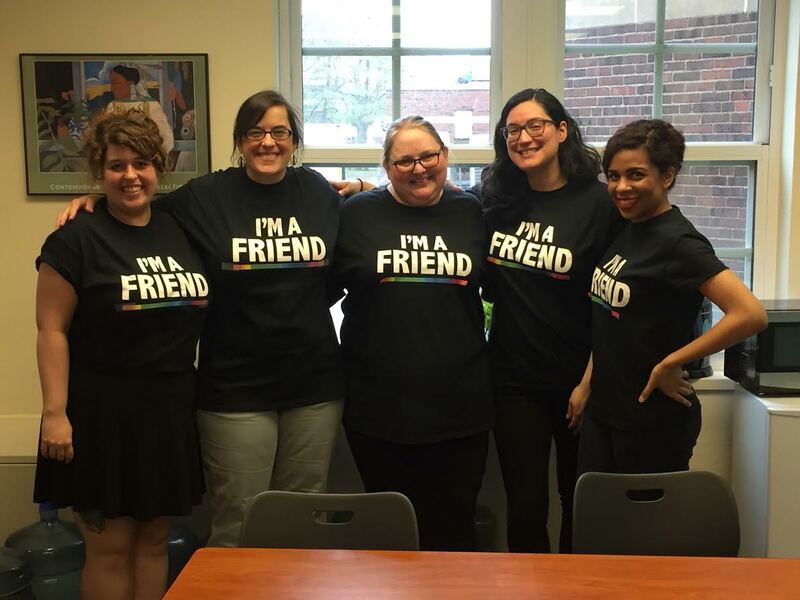 SAPAC Staff pledges to Be a Friend to the LGBTQ+ campus community!